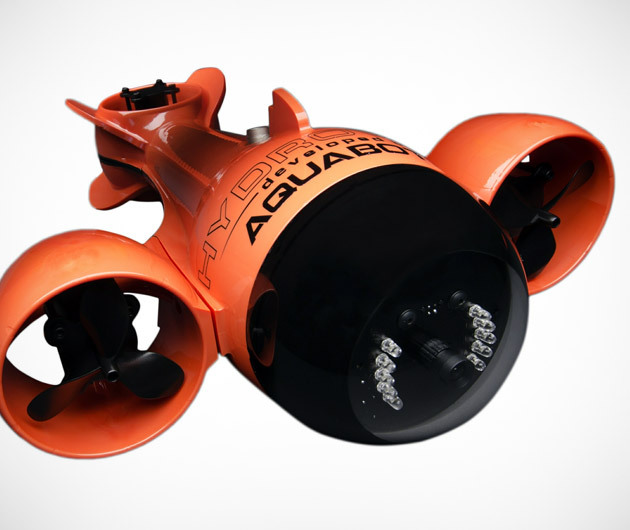 The HydroView is a remote-controlled underwater device with a live video feed and an integrated HD camera, LED lights, and 75 foot cable so you can drop it off the side of your boat and explore marine life without getting your hair wet. Stream video to your iPad from the HydroView and share it online via popular sites like YouTube. It's also a great way to inspect the equipment beneath your boat for safety without jumping into the icy water.